Did you ever think that pretty home decor could come straight out of your closet? There is no need to get rid of all that unworn apparel when it can be used in another way! Instead of looking at the old clothes as something worn, look at the colors, patterns, and textures of the fabric. What could they be used for in another form? I’ll show you how to recycle old clothes in a way that is good for your home decorating and wonderful on your budget. Recycling clothes to use in crafts is a fantastic idea. If you have clothes that are ripped, stained, stretched or just plain worn out, don’t get rid of them! Just because the clothing is no longer suitable to wear doesn’t mean that some of the pieces can’t be used. Besides the fabric scraps, the buttons, pockets, collars and sleeves are all great to use in a variety of craft projects. All of these ways to recycle old clothes are broken down by the particular clothing item. However, any of these projects can be done with a variety of fabrics. For example, a project for an upcycled sweater could also be done with a flannel shirt. Think of your old clothing just as fabric choices and use them to recycle old clothes in a variety of different ways. I particularly like using old sweaters in craft projects. They give anything a warm and cozy look. Have you ever seen the nice cozy sweater pillows at places like Pottery Barn? They definitely look like something you would want to cuddle up with. However, the price tags for this luxury is pretty steep. That’s where using an old sweater of your own to make a pillow really makes sense. I wrapped this pillow in yarn to look like a gift package for the holidays. Sweater sleeves work perfectly for make candle or coffee cup cozies. 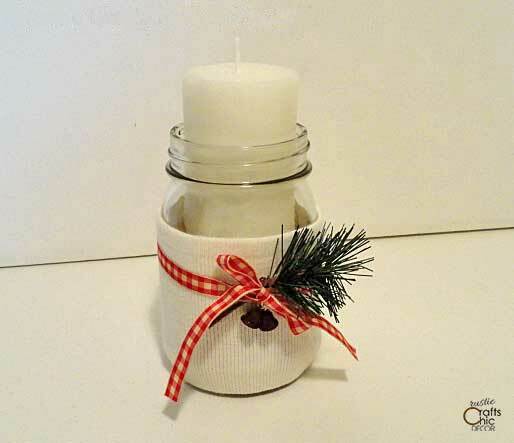 I made this warm and cozy candle holder for the holidays and it was super fast and easy to do. Really almost anything can be covered in a sweater to give it a warm soft look. 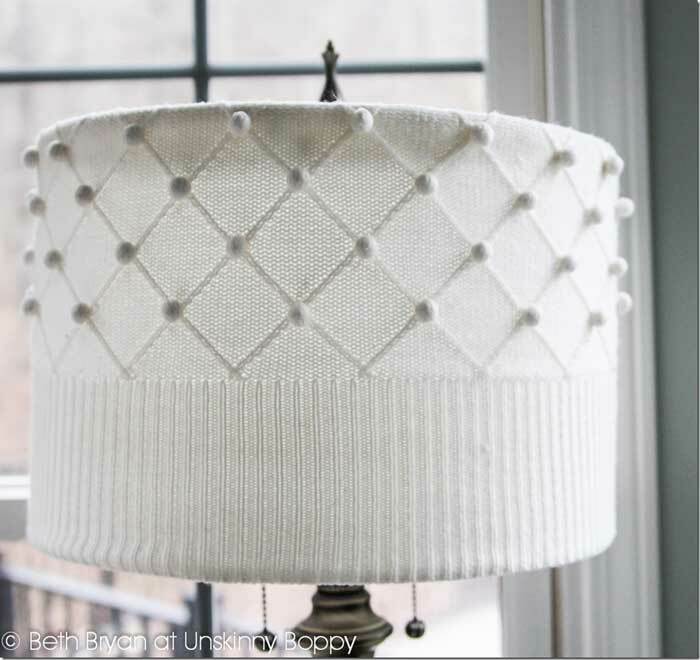 This lampshade is anything but ordinary when covered with this fun textured sweater. 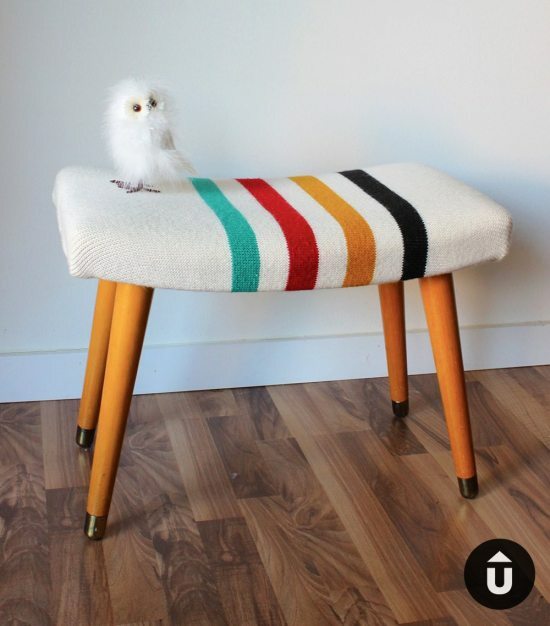 Use an old sweater with a fun pattern to give a makeover to a stool or chair. 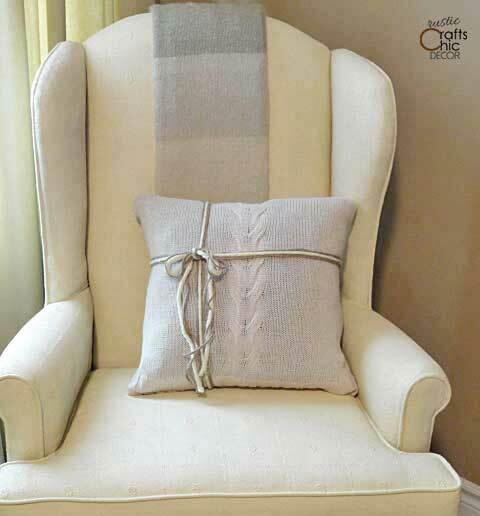 It’s easy to change the look with new upholstery and using a sweater gives a warm touch. 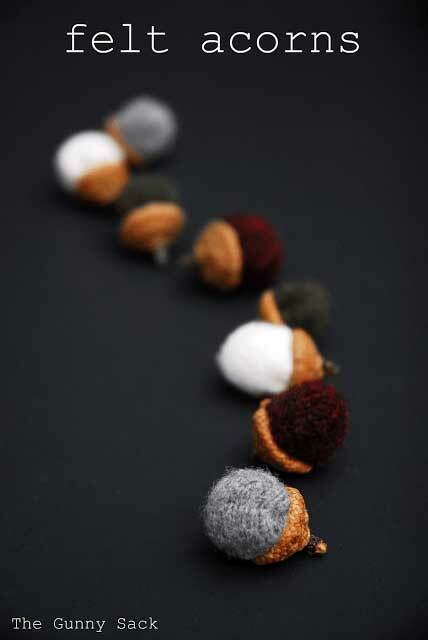 You may have seen acorns like this made with new felted wool. The look is especially warm and cozy for the colder seasons. Now, you don’t have to buy new wool if you already have an old wool sweater. If you have ever accidentally shrunk a wool sweater, you can at least feel good about reusing the fabric! 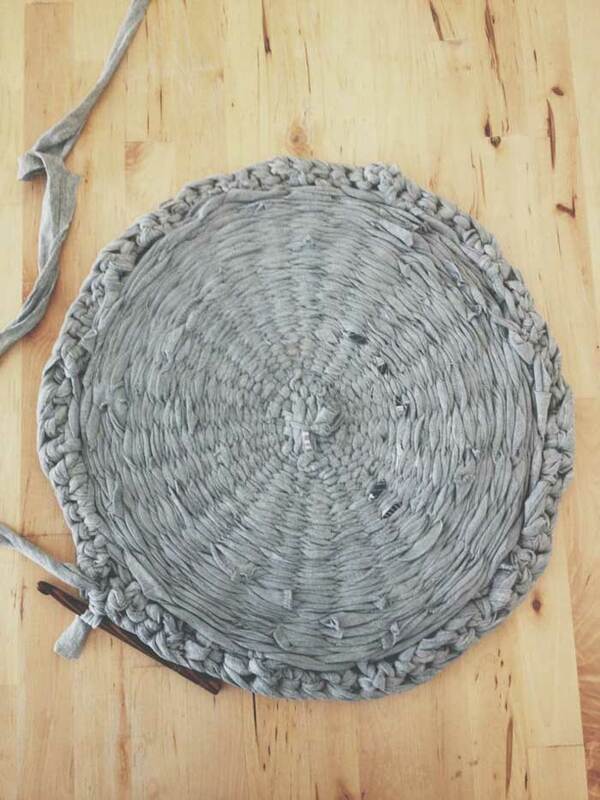 Can you believe this fun rug is made from old gray t-shirts? I love the soft look and can imagine how nice it would feel under foot. This fun t-shirt quilt would make a great gift item. I think my husband probably has a couple hundred old t-shirts. 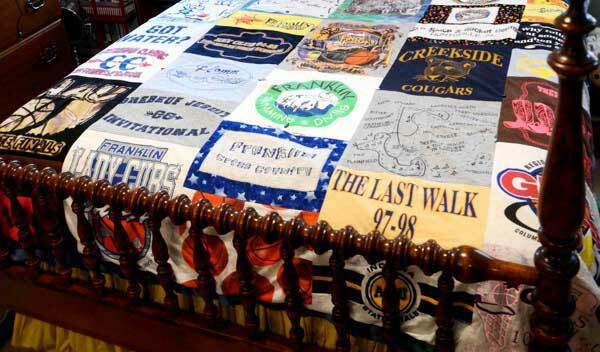 A quilt like this is a fun way to keep those memories from souvenir and club t-shirts! If you don’t have enough t-shirts for a whole quilt, you could always just make a few throw pillows for on top of the bed. 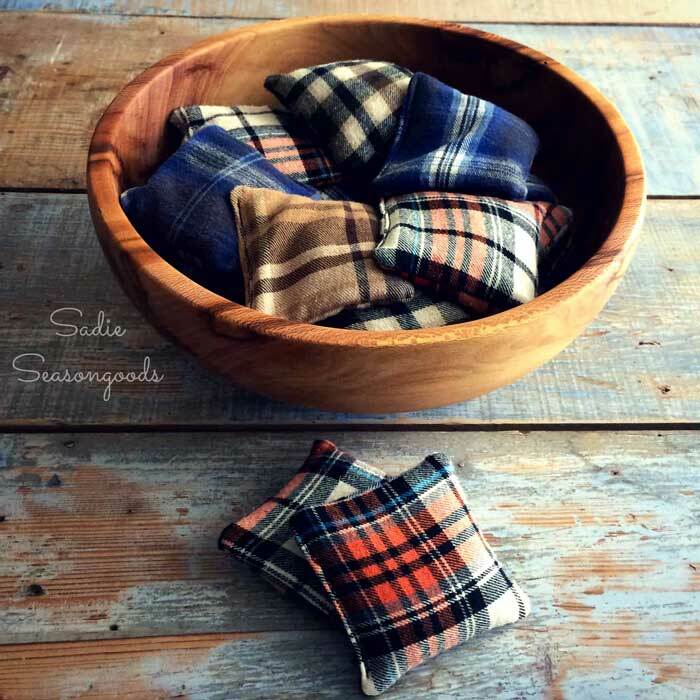 Like vase fillers, a bowl of flannel hand warmers is a cozy way to add some rustic decor to your home. Not only do they look nice sitting out but they also serve a purpose for those cold hands. 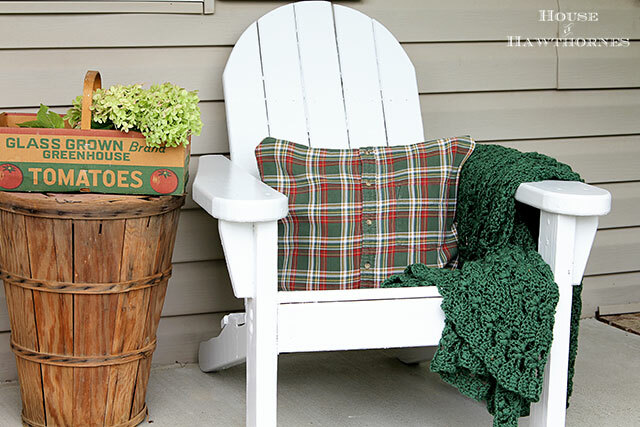 Make a quick and easy plaid pillow with an old flannel shirt. And, if you don’t like to sew, this project uses fusible bonding tape instead. 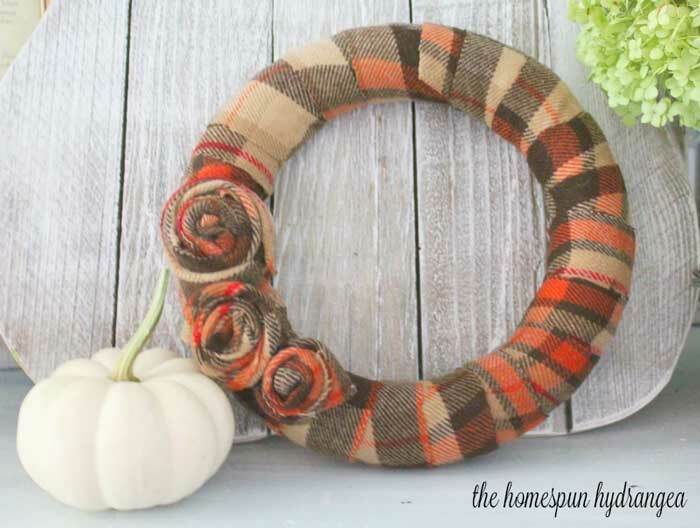 Make an easy wreath from an old flannel shirt. The colors of your flannel will help to determine what season to hang it. Fall and Christmas are fun times to use flannel in your home decor. 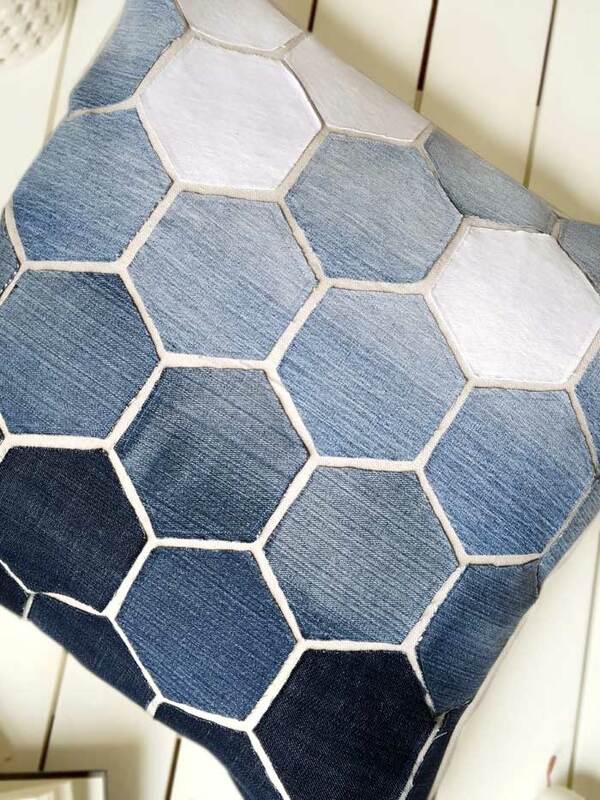 If you have a stack of old unwearable jeans in a variety of shades, this pillow project is a perfect way to use them. 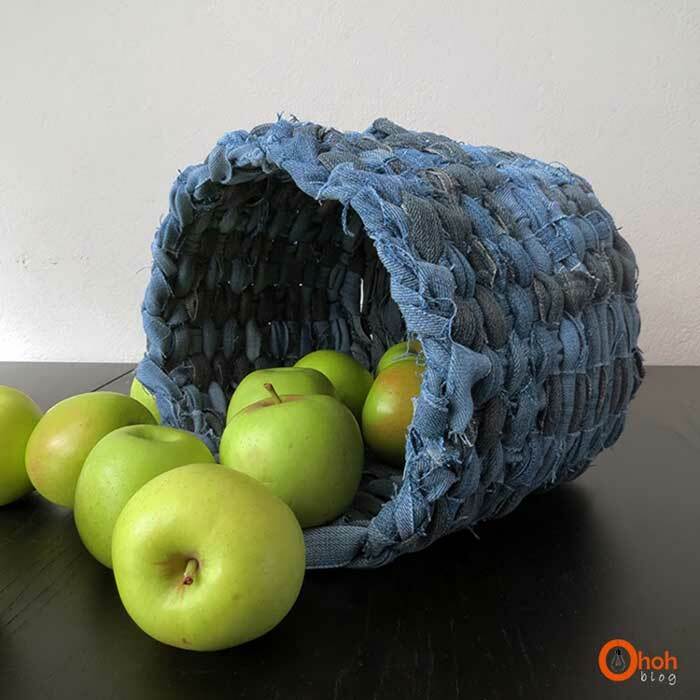 Use strips of denim, from old jeans, to weave a decorative basket. Since denim is a sturdy material anyway, the basket will have a lot of strength. This would look great in a farmhouse kitchen. 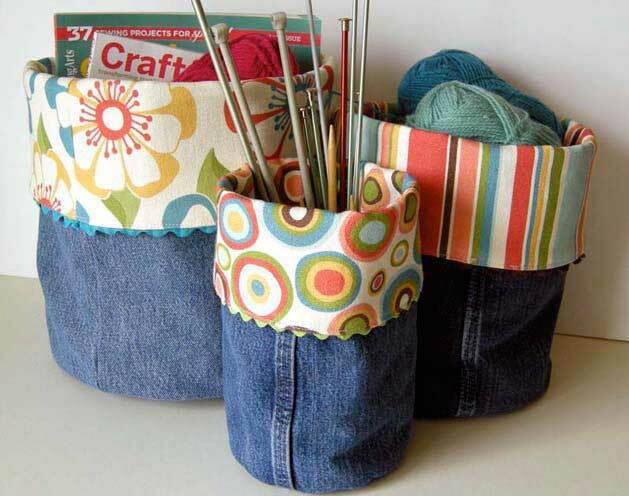 Use old jeans and maybe an old shirt or two to make some cute bins for craft supplies. You can’t buy storage bins that are this cute! 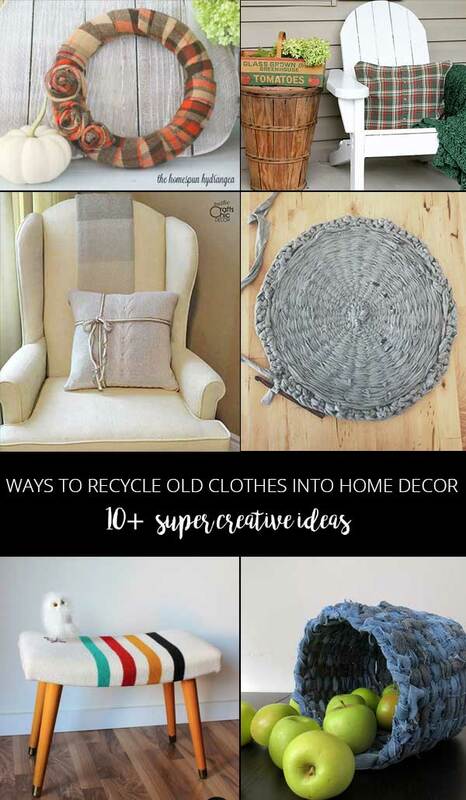 It’s such a great way to recycle old clothes.